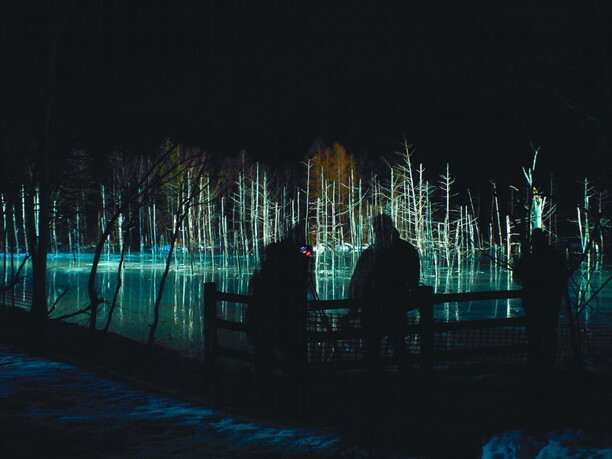 Biei town’s (美瑛町) platinum blue pond is a popular tourist destination. 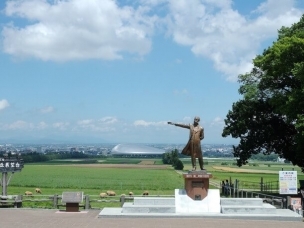 This “spot” is not only known in Hokkaido, but throughout Japan and the rest of the world as well! 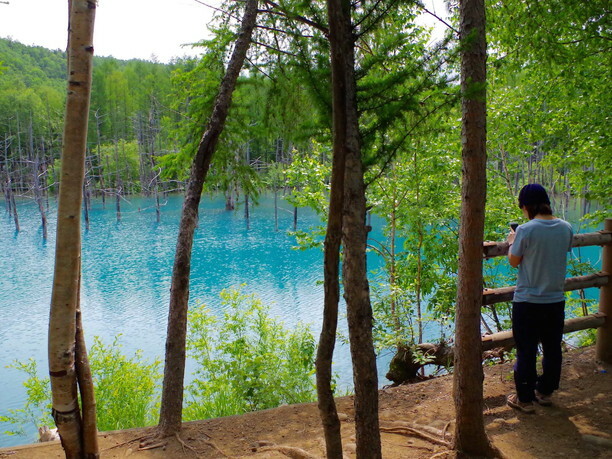 The “blue pond” is filled with cobalt blue, sparkling water that creates a fantastic sight. It is crowded with people in the spring and autumn. There are fewer people visiting from late autumn to early winter, but at this time of year they light up the pond at night. When this fantasy world is lit up at night is has quite a different appearance from the view in the daylight. 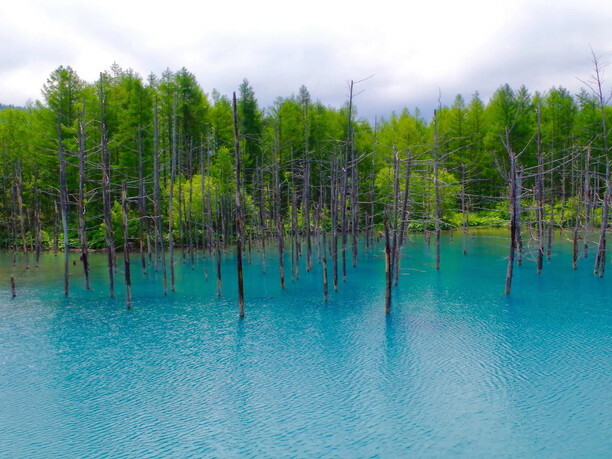 This fantastic “blue pond” is a special place to the people of Hokkaido! The pond has a different appearance depending on the time of year, the weather conditions and the time of day. The color ranges from a cobalt blue to emerald green. 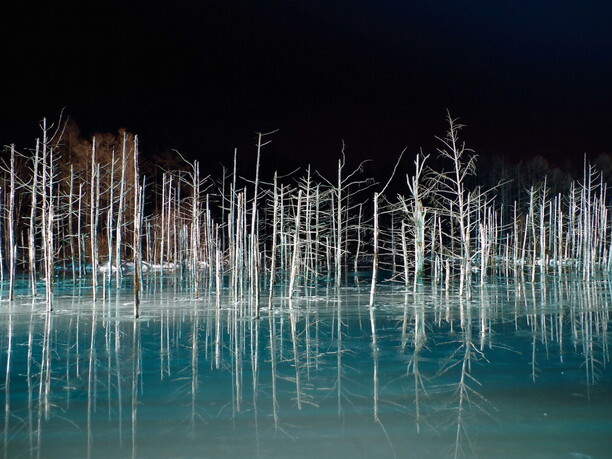 The pond also reflects the image of the trees! When the water is calm the surface of the water is like a mirror. 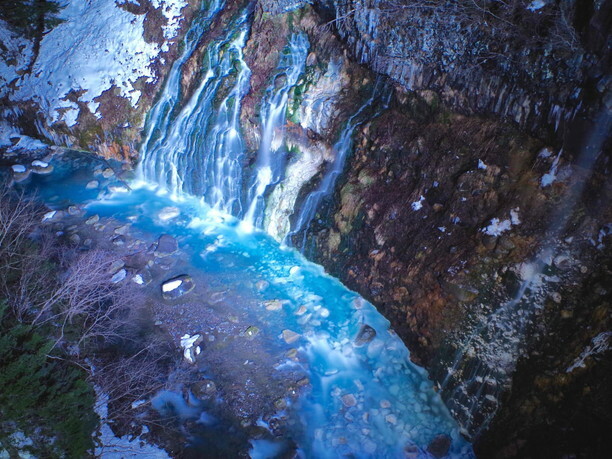 The water is blue due to the flow of water from the nearby hot spring. The spring water contains aluminum that when mixed with the water produces a substance called “colloid.” It is said that when the colloid is hit by the light of the sun it creates a short light wavelength that when reaches the human eye appears blue. They light up the pond beautifully at night in late Autumn and throughout the winter! In 2014 they started lighting up the pond on Winter nights. 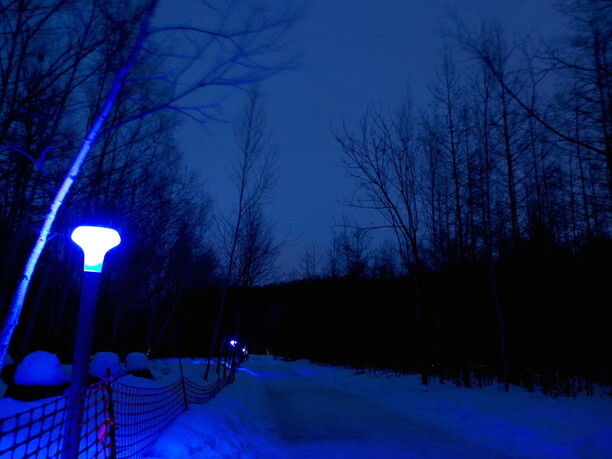 The Light blue light generates a fantastic spectacle in the darkness. 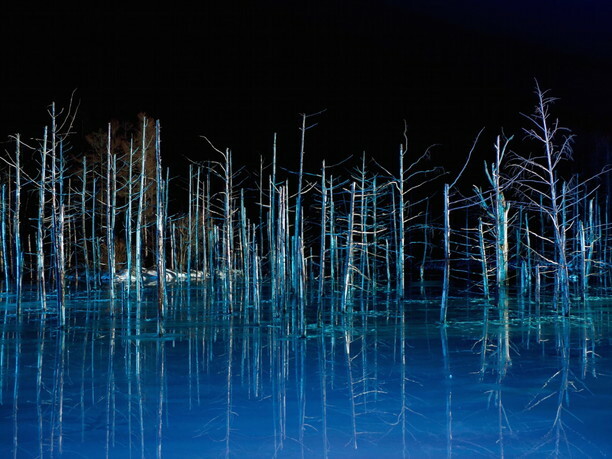 You can enjoy an amazing walk around the pond when it is lit with the dim blue light. The blue light makes the water appear bluer and is very beautiful with the contrasting night sky and snow covered ground. On a quiet night it appears as if the snow is gently dancing on the water. 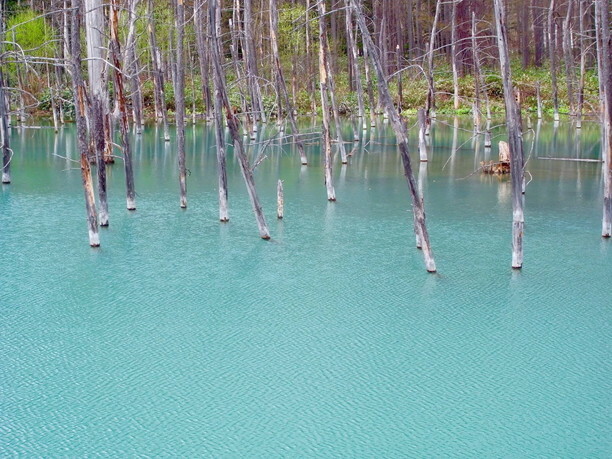 The blue pond was created in 1988! 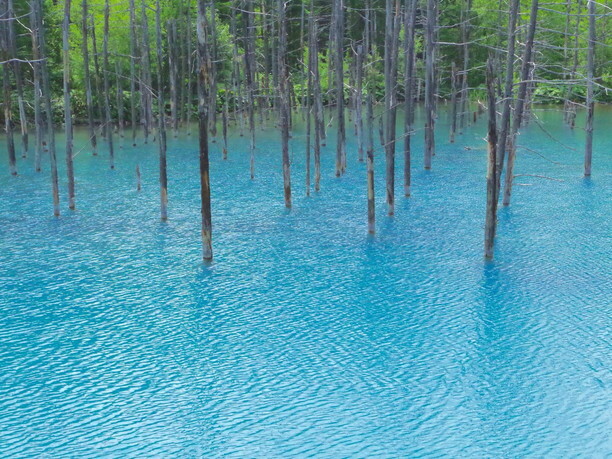 This blue pond was not always a famous tourist destination. In fact it didn’t even exist until 1988. When the Tokachi-Dake volcano erupted in 1988 in order to defend the town from a volcanic mudflow disaster, concrete block “dams” were constructed. One of the areas where the river’s flow was diverted became the pond. 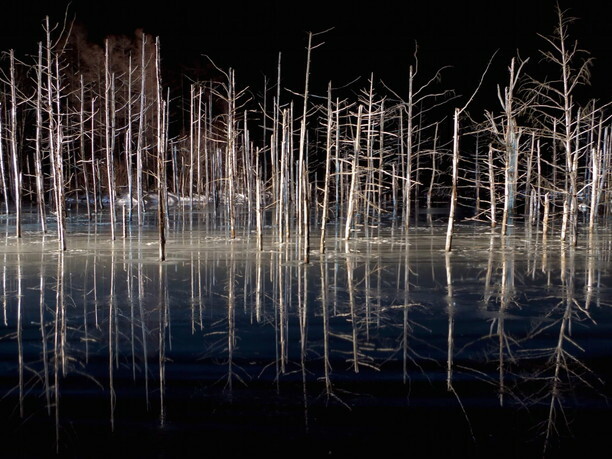 Waterlogged, dead trees produced the current landscape. It created such a beautiful scene that became the focus of many photographers work. As a result the pond became better known across Japan and eventually around the world. Who could have known that this man-made structures created to protect the town from a volcano would create such a beautiful and a fantastic landscape. About 2 miles further East from the blue pond is the Shirogane Onsen. There are about 7 different accommodations, and day spa facilities here to enhance your soak in the hot springs. Another popular place is “white beard falls”. You can view the falls from the spa center near the Biei river bridge. The 120-foot falls are impressive! The Biei river below the falls is of course “blue.” In the Winter the area is lit up at night making the scene even more beautiful. How to access the Blue pond! 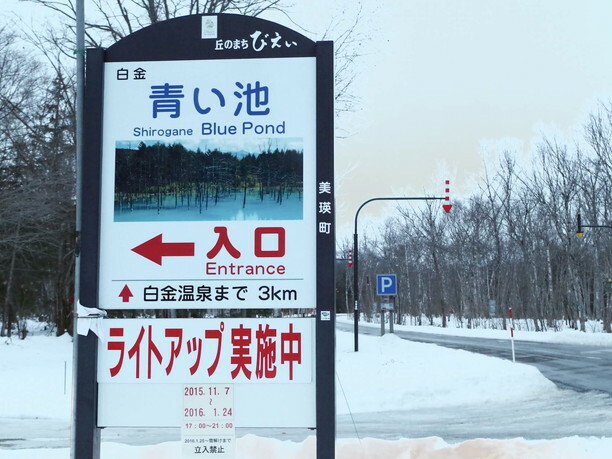 The “Blue pond” is in Biei-Cho between Furano and Asahikawa cities. From Sapporo it is about 2 and 1/2 hours by car. 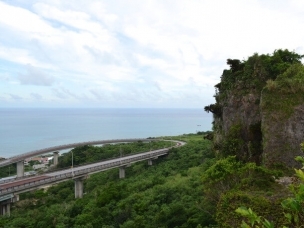 It’s about three hours from New Chitose Airport. From the Biei town center it about 20-30 minutes East by car. You’ll know where it is because there is a big sign in the middle of the road pointing the way! 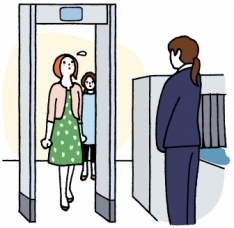 If you are using JR line, get off at the Bei station and you will see in front of the station the Asahikawa shinyokinko. There is a bus stop there for the Dohoku bus, bound for Shinogun onsen. However, there are only 5 buses a day. So check in advance for the exact times it leaves. We recommend seeing this scenic view early in the morning on sunny days. Calm weather days are best! Also, if you want to avoid the crowds get there before 9 o'clock a.m.! This place is also famous because Apple created a wallpaper with a picture of the pond for their Mac and iPhone! The pond freezes over during the first half of December. In the Summer the roads between Furano and Biei can get pretty crowded! 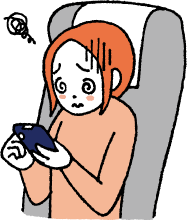 The roads between Biei and Asahikawa tend not to be as crowded. This beautiful scenery appears different depending on the time of year, time of day and weather conditions, so it never gets boring. Especially nice is the beauty created with the night lighting in the winter. When they light it up is subject to change so check on their website to be sure when it is! 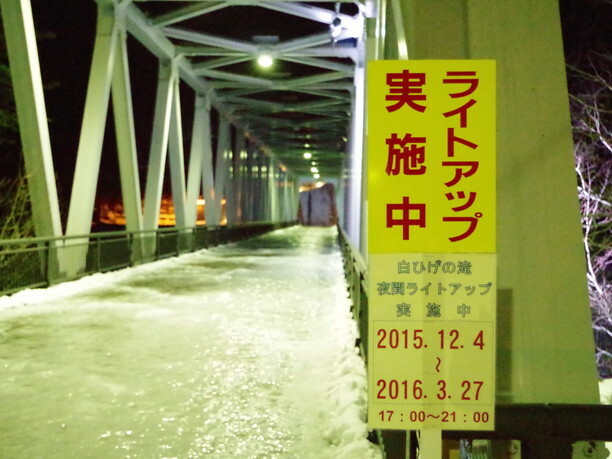 * Non-illuminated period is closed during winter season. 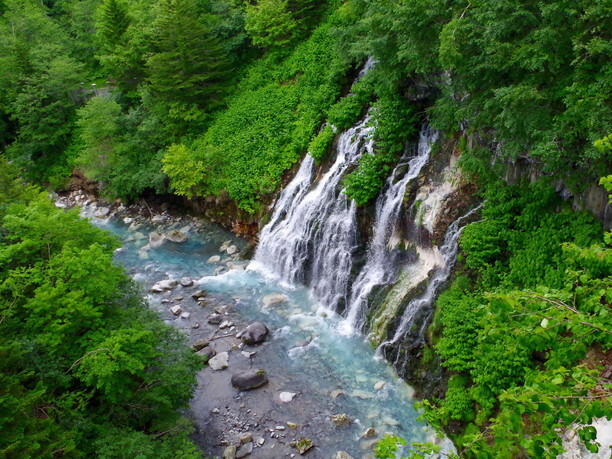 Souunkyo hot springs is a beautiful place surrounded by cliff walls and the charm of all four seasons!